You know what a job at the desk requires – sitting all day. The work of today’s corporate world calls for concentration, flexibility, focus and efficiency. When sitting for long periods of time, different parts of the body get tight from the lack of physical activity. Tense muscles can lead to back pain, bad posture and other problems. So how do we offset those hours of your body sitting all day? 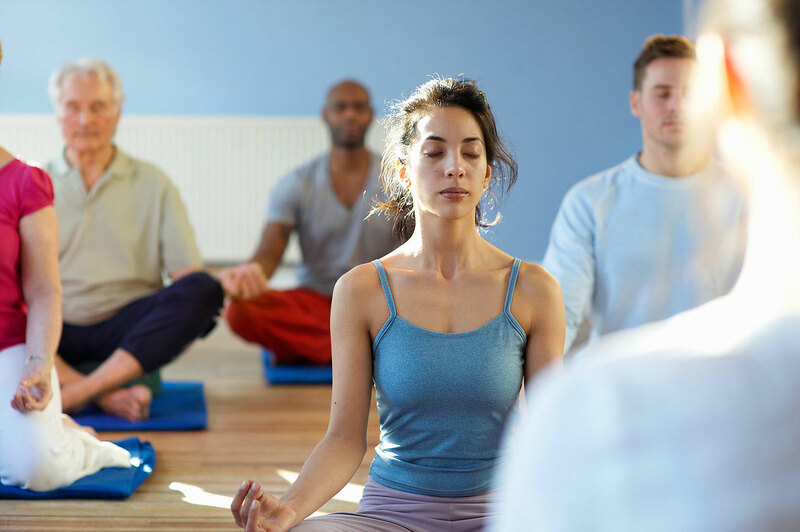 Yoga and meditation can be a wonderful offering for your employees, as studies show that it increases productivity, focus and overall well-being. Mindful practices can help to dissolve tension while increasing mental clarity, a healthier body and a noticeable decrease in tension, stress hormones and fatigue. It increases strength, mobility, energy and focus. When the body is stagnant, energy cannot flow and a multitude of bodily functions suffer, including the brain. Encouraging members of your corporate organisation to do yoga movements, breath work and meditation, opens these channels and benefits the nervous system, lymphs, digestion, brain functions and therefore boosts strategic thinking and creativity. This is why yoga and mindful practices are so effective for increasing productivity in the workplace. Not only do they keep your employees feeling their best, but it also enhances team-building and community. My corporate yoga class for businesses can include yoga movements, breathing exercises and meditation. I offer both traditional yoga classes on mats, as well as “yoga at your desk,” which includes: light stretching, mindful breathing and meditation by your desk. Yoga and meditation goes hand in hand with other corporate wellness programs such as massage and holistic natural treatments which can be offered as well. For more information or to book a session, please email me.